Announcements for 2018-2019: We are looking forward to updating the pictures with our current 2nd grade students. Volunteer needed to take action pictures one PE class to get us started. Other 2nd grade parent volunteer jobs: paperwork shuffle help in the equipment room with Sportfolios, assistance with yoga & gymnastics class instruction (40 min. classes), forward roll & cartwheel assistance (10 min. sections throughout the year), researching inspirational 3 minute videos for athletic motivation, weekly class assistant (40 min. classes), push-up assistance (10 min. sections throughout the year), basketball shooting assistance. PE is on Tuesday for Susan's HR and Wednesday for Sally's HR from 10:05-10:45. 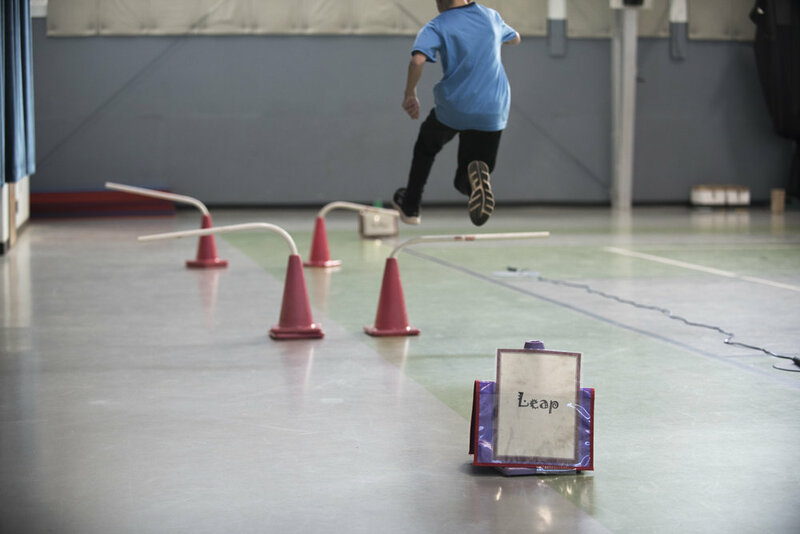 The mastery of fundamental movement skills supports childrens' physical, cognitive and social development and is thought to provide the foundation for an active lifestyle. Commonly developed in childhood and subsequently refined into context and sport-specific skills, they include locomotor (e.g. running and hopping), manipulative or object control (e.g. catching and throwing) and stability (e.g. balancing and twisting) skills. Clearly connected ~ competence and confidence, motion and emotion. Landon uses correct form of striking a volleyball. A manipulative skill is one in which a child handles an object with the hands, feet, or other body parts. 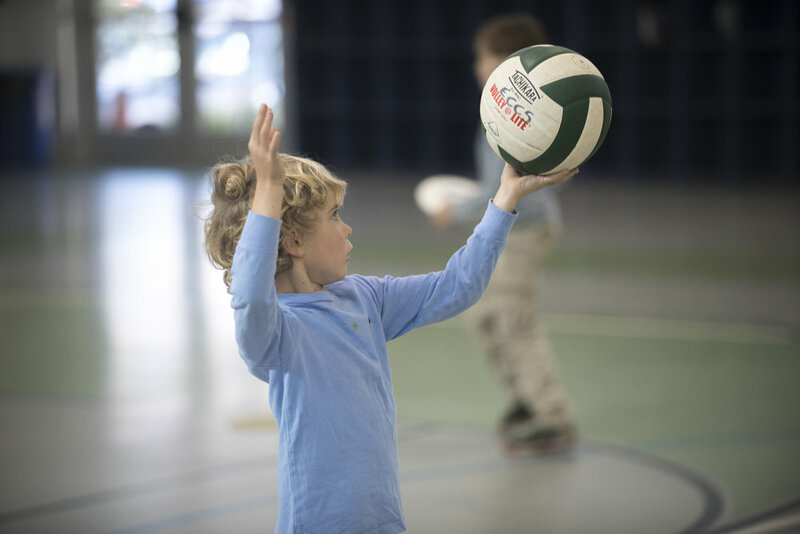 Manipulative skills are basic to the development of sport skills. 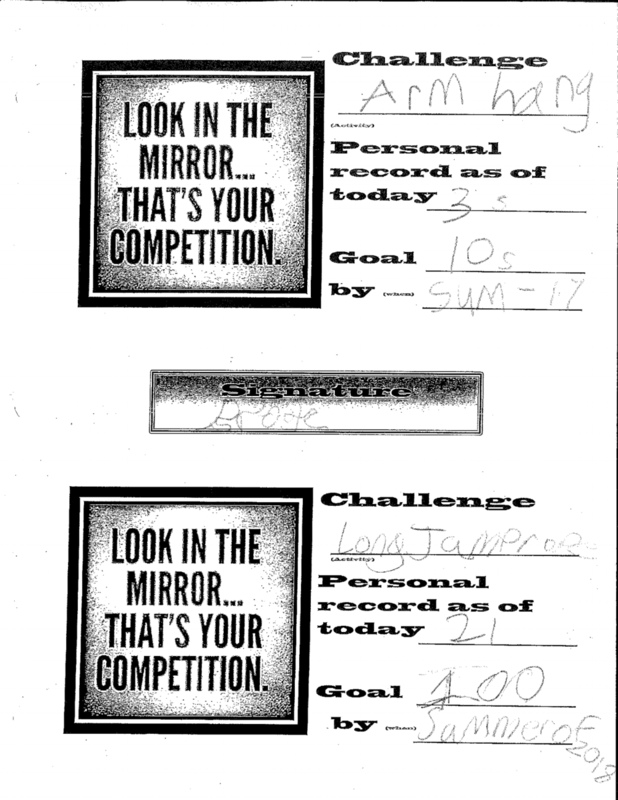 By third grade we will have a better handle on aim, but for now, families should practice form and fun. At the muscle memory level, opposite foot forward is a foundation for most of these skills. These fundamental athletic activities are terrific modalities to develop balance, dynamic coordination and to develop joint, tendon and muscular stability and strength. 2nd grade power target: I can generate smooth transitions between locomotor skills (leaping, skipping, galloping, running, hopping, walking) in a variety of pathways, levels, or directions - especially with chasing, fleeing, and dodging. Practicing smooth transitions can also be rolling out of a trip/fall scenario or spinning away from an obstacle. Every class has a 4 minute section for cognitive learning. We call it trivia. Chances are, these kids will stump their parents with some questions. 2nd grade power target: I can illustrate activities that are associated with flexibility, muscular strength, and muscular endurance. The main differerence is that muscular strength is the maximum load of the muscle group. Writing down our goals creates electrical signals between the right brain, which is imaginative, and the left brain, which is literal. Studies show we are more likely to achieve your goals if we write them down. Jump-rope activities develop specialized motor skills, particularly visual–tactile coordination. We actually document our progress! 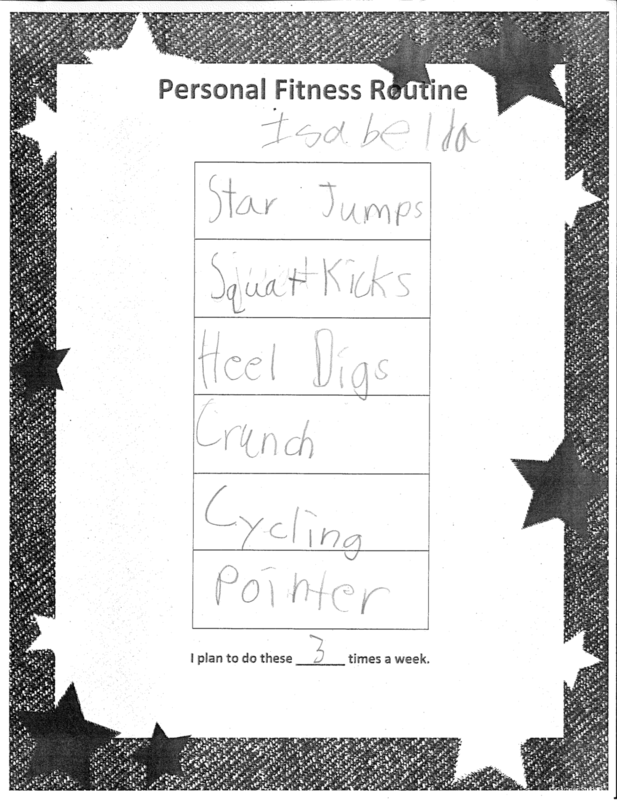 2nd grade power target: I can select moderate to vigorous activities for my weekly pan and practice the routine. Ideally, we could ignite the whole family into the fitness plans.